Rabindra Sarobar Stadium is a multi-use stadium in Kolkata, India. 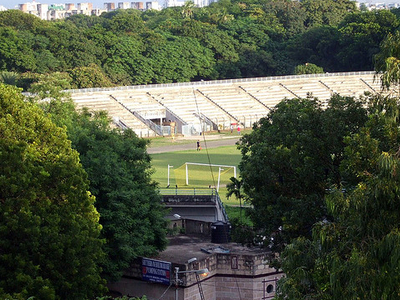 It is used for football matches and serves as the home of Tollygunge Agragami of the Calcutta Premier Division. It holds 18,000 spectators and opened in 1961. Here's the our members favorite photos of "Stadiums in Kolkata". Upload your photo of Rabindra Sarobar Stadium!